On Friday a court ruled that Telegram should be blocked inside Russia due to its failure to turn over its encryption keys. In 2016, Russia passed “anti-terror laws” that require messaging services give authorities the ability to decrypt communications. Telegram founder Pavel Durov has defied the order and now says he has a workaround. After an 18-minute hearing on Friday, Judge Yulia Smolina of the Moscow Tagansky District Court took 40 minutes to deliberate and grant Roskomnadzor’s request to start blocking Telegram in Russia immediately, circumventing the typical legal process whereby the messenger would be able to appeal the verdict and delay when it comes into force. At Telegram CEO Pavel Durov’s request, the company’s lawyers didn’t attend the hearing, trying not to “legitimate” the trial. The legal team says it will appeal Friday’s decision. Roskomnadzor is the name for Russia’s Federal Service for Supervision of Communications, Information Technology and Mass Media. According to Meduza, the agency must wait to receive a physical copy of the verdict and it will likely order ISPs to block the service immediately. Russian news outlets and state agencies have already begun redirecting users to other social network channels and the Opera VPN tool shot to the top of the Apple App store in Russia. 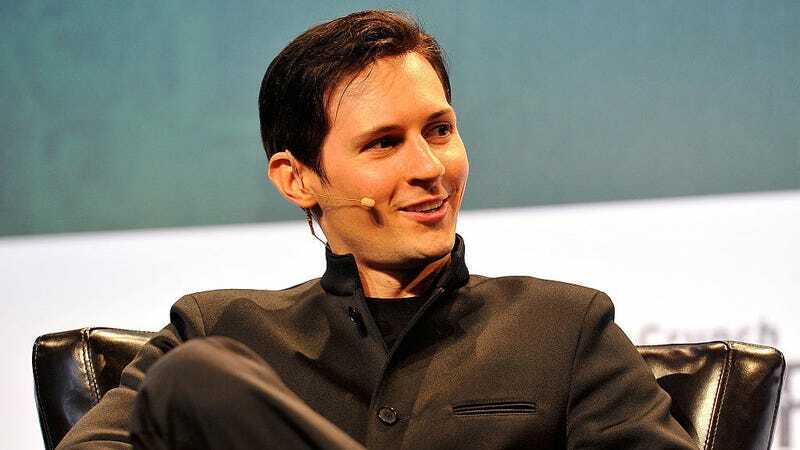 Durov is unique among absurdly wealthy tech founders. He doesn’t have to answer to board members and he’s content with his wealth. After founding VKontacte, he was forced out by Russian authorities who demanded more access to user data. He still made millions from the sale of his ownership in the company and told Bloomberg last December that he made a small fortune from his Bitcoin holdings. He also said he’ll never sell Telegram no matter how high the price. This year, he launched his own initial coin offering and raised $1.7 billion.